When you take your parent to see an Elder Law attorney, you might expect to sit in on the entire meeting. After all, you’re their child, any issues they discuss might concern you, and you may even be paying for their visit. Why shouldn’t you be present for it? Unfortunately, that’s not how it works. If you come with your parent, you’re going to have to step outside of the office for at least part of the meeting so that the lawyer can speak to them alone. But why? It doesn’t matter if you’re the one paying or if your mom usually makes you decide everything for her. When it comes to the law, attorneys can only represent one person at a time or they risk having a conflict of interest. In the case of Elder Law, their client isn’t you – it’s your mother or father. That means that the lawyer has several different responsibilities. Keep information confidential. Because you’re not the client, the attorney can’t share information with you unless your parent tells them to. This means that you might end up knowing everything, or be left completely in the dark. It’s entirely up to mom or dad. Determine if their client is incompetent. Part of the job of an Elder Law attorney is to assess whether or not their client has the ability to make their own decisions. The only way that they can do this is to speak with your mother or father privately and see how well they are able to reason and provide them with information. If the lawyer believes your parent to be incompetent, it will open up a whole new host of issues for you. Avoid challenges. 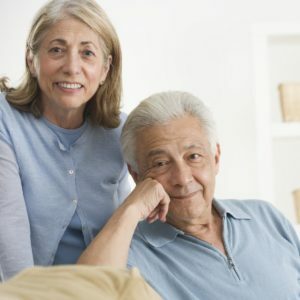 No one wants to have their last will and testament or other important legal documents challenged, but there’s a greater chance of that happening if you stay with your parent while they create them. For example, a jealous relative could argue that you pressured your parent into giving you more in the will. Leaving to give mom or dad the freedom to make decisions on their own will lessen the likelihood of this kind of situation. If you would like to talk more with an experienced Elder Law attorney about why you can’t be in the room with your parent when they are making end-of-life decisions, contact our offices today.